What’s not to like about Hot White Chocolate! I’m sure most of you (wherever you live) are absolutely, unequivocally sick of all this snow, ice, rain, dampness, cloudy and gloomy days we are all experiencing this winter. Well, I have a recipe for you. 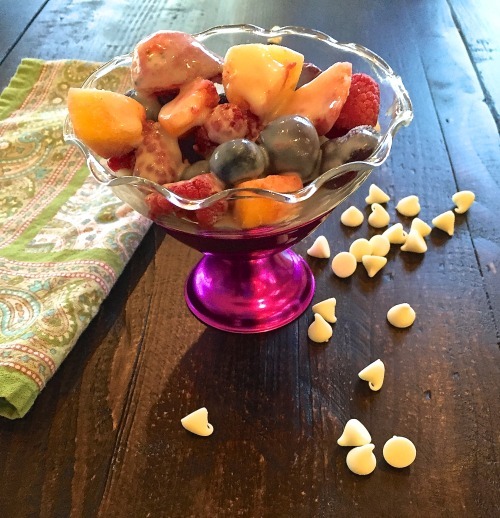 The frozen fruit will remind you of what you want to leave behind and that you are ready to move on to Spring. 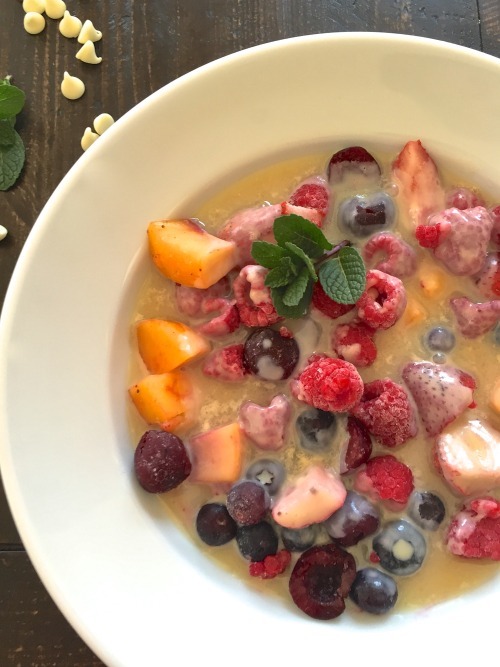 And the warm white chocolate smoothly flowing over and coating the frozen fruit, thawing it has it runs down the dish, should bring promise of all that melting snow you may be experiencing now. So, a little bit of winter, hopefully in our rear view mirrors, and Spring ahead of us. 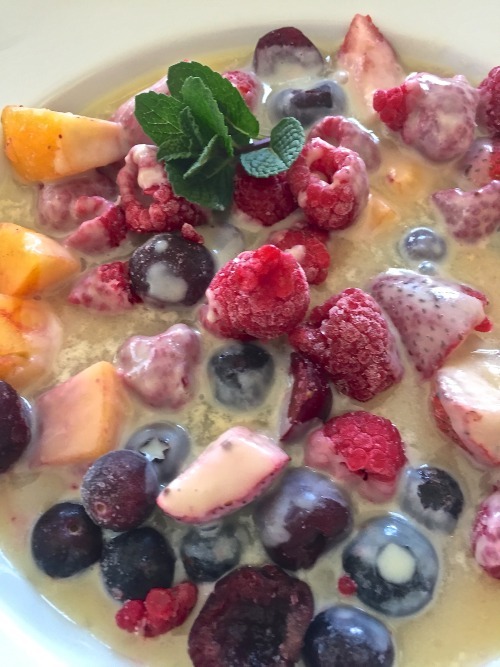 The day I served this to my craft circle group (only seven of us in my section) I used frozen cherries, peaches, blueberries, strawberries and raspberries. Anyone that can’t eat the seeds simply use fruits without seeds like the cherries and peaches. 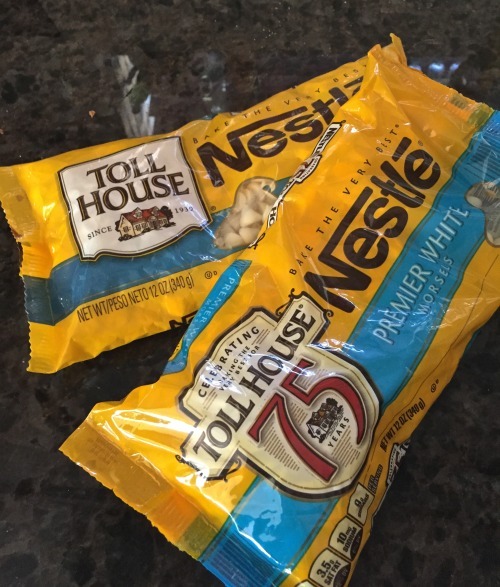 Keep these ingredients in your freezer/pantry and you can whip up a delicious dessert for any time you want to throw together a quick dessert, winter or summer. BLAST FROM THE PAST: Irish Cream Cheesecake is one of the most delicious cheesecakes I have made. It has white chocolate in the filling along with the Irish Cream and also grated white chocolate on top of the finished cheesecake. I think the flavor of the Bailey’s Irish Cream put this dessert over the top in deliciousness. Make sure you use a good white chocolate. Do not use the squares of almond bark. This will not be a thick sauce so don’t wait until it thickens, it won’t. Pouring it over the frozen fruits thickens and coats the fruit. Also, if you use a clear vanilla, it will stay a whiter color; I did not have any the day I made this. I divided my fruit into individual portions and put in plastic bags that way I could quickly get the fruit out, put in dish before it thaws too quickly. 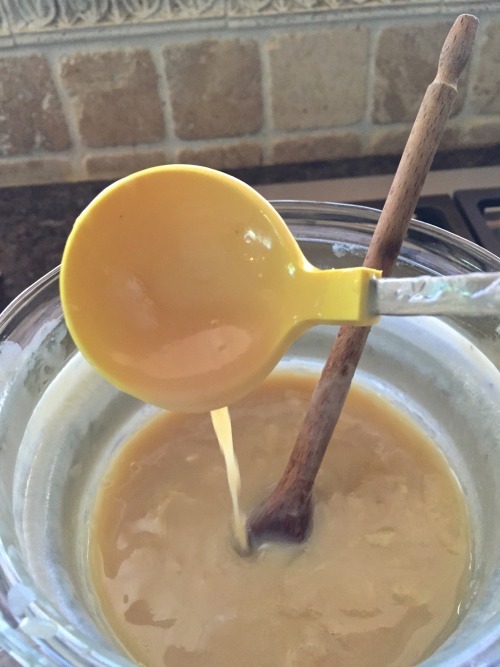 Pour about 1/3 to 1/2 cup hot white chocolate over each serving. 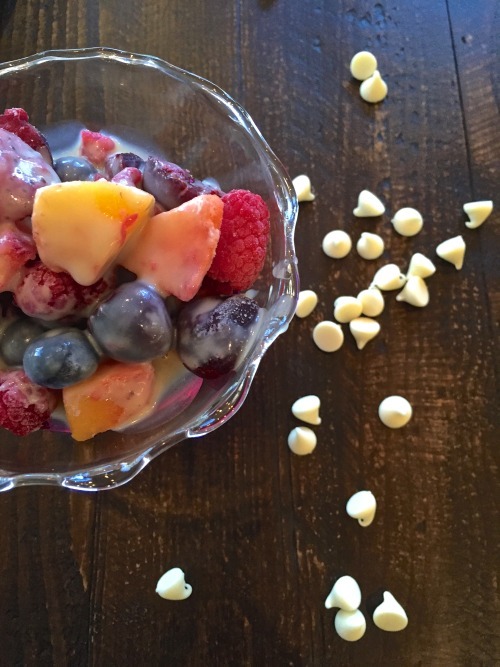 Frozen fruit (berries) with a delicious easy hot white chocolate. Combine the chocolate, heavy cream, and the vanilla in a heat-proof bowl and set it over a pan of simmering water until the chocolate melts. About 5 minutes before serving, remove the berries from the freezer and place them on individual serving plates. Ladle the warm chocolate sauce over the berries and serve. Note: You can either buy frozen berries, or freeze your own by placing the berries on a flat tray in layer. When the berries are fully frozen, keep them a plastic bag in the freezer. Larger berries, such as strawberries, do not freeze well. Ina used all berries. 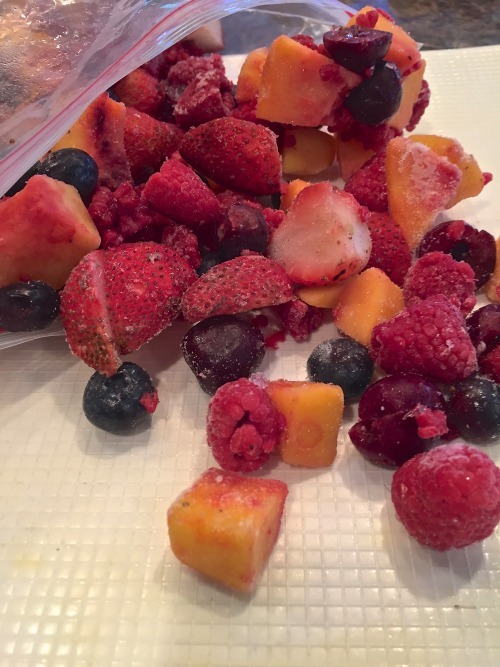 I used frozen peaches, blueberries, raspberries, strawberries and cherries. I do not like the way strawberries freeze. They are like little ice cubes. I would recommend not doing those. The next time I make this dessert I will use cherries, raspberries, blueberries and maybe blackberries. 2 1/4 pounds frozen mixed berries or frozen raspberries. Note: You can either buy frozen berries, or freeze your own by placing the berries on a flat tray in one layer. When the berries are fully frozen, keep them a plastic bag in the freezer. Larger berries, such as strawberries, do not freeze well. For my luncheon I put the fruit in my little antique dessert glasses. Then I also served to my husband in the soup bowl. I think I like the shallow soup bowl the best because the sauce covers the fruit a little better.